Dayspring Nazarene Easter Service on April 20, 2019. April 19, 2019 / Pastor Bill / Comments Off on Dayspring Nazarene Easter Service on April 20, 2019. Join us for our Prayer for Healing Service at 8:30 am, Breakfast (Potluck) at 9:15am and Easter Service at 10:30am on Sunday, April 20th. We look forward to worshiping with you! Be sure to join us on December 24th at 6pm for our Christmas Eve service. This 1 hour service is open to the public and it’ll be a great opportunity for the entire family to focus on the “Reason for the Season”. We look forward to seeing you! 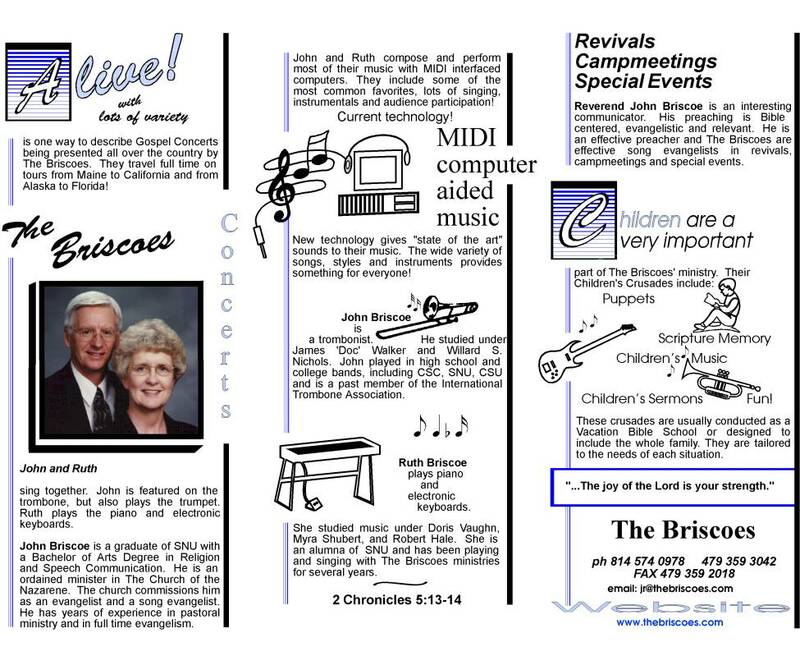 John & Ruth Briscoe (Nazarene Evangelists) will be at Dayspring Church on September 2nd for the 10:30 AM Service. A love offering will be taken; and service will be followed by a potluck dinner. Please invite your friends and family for a wonderful time of music and worship. John and Ruth sing together. John is featured on the trombone, but also plays the trumpet. Ruth plays keyboards. They compose and perform most of their music with MIDI interfaced computers. Current technology gives new “state of the art” sounds to their music. The wide variety of songs, styles, and instruments provides something for everyone! John – studied music under James “Doc” Walker and Willard S. Nichols. He has played in several bands and orchestras including CSU, SNU, CSC and is a past member of the International Trombone Association. Ruth – studied music under Doris Vaughn, Myra Shubert, and Robert Hale. She has been playing and singing with The Briscoes ministry for several years. Sermon: Does This Make the Boat go Faster? March 4, 2018 / Pastor Bill / Comments Off on Sermon: Does This Make the Boat go Faster? 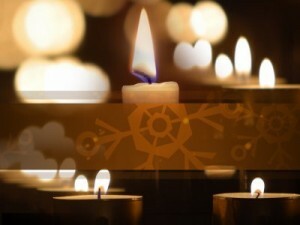 Be sure to join us on Christmas Eve, December 24th at 6pm for our Christmas Eve service. This 1 hour service is open to the public and it’ll be a great opportunity for the entire family to focus on the “Reason for the Season”. We look forward to seeing you! 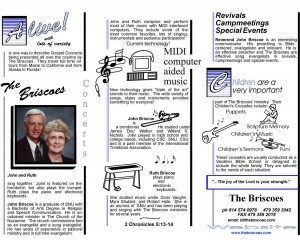 John & Ruth Briscoe (Nazarene Evangelists) will be at Dayspring Church on June 25th for the 10:30 AM Service. A love offering will be taken; and service will be followed by a potluck dinner. 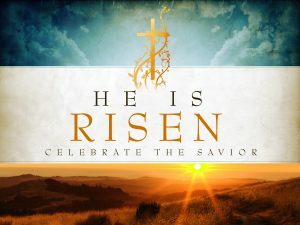 Join us for our Easter Service at 10:30am on Sunday, April 16th. We look forward to worshiping with you!